The Compak F1 Kit is a portable all-in-on starter kit from Sigelei with 2000mAh built-in battery and 2ml refillable tank. With durable zinc alloy construction and pre-made 0.3ohm coil, Compak F1 AIO Kit will bring you an easy yet powerful vaping. 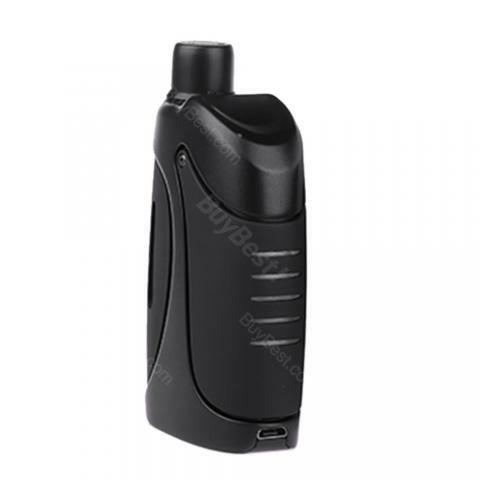 Consisting of 2000mAh built-in battry and 2ml refillable tank, Compak F1 is a compact AI0 starter kit with pocket friendly size and motor racing style appearance. The F1 AIO Kit supports 40W max output with simple operation and safe usage. Together with pre-made 0.3ohm coil, Compak F1 Kit will bring you an easy and powerful daily vaping. enjoy the all-in-one setup feature, would recommend. Compak F1 ist wirklich ein absolut stylisches Teil. Sehr hochwertige Verarbeitung mit viel chic. Sehr einfach zu bedienen!